What is this, a mombubot score of zero ranking in the 11th position? I would have said this couldn't have been but it just shows the power of good overall site ranking and we know Facebook certainly has good ranking. 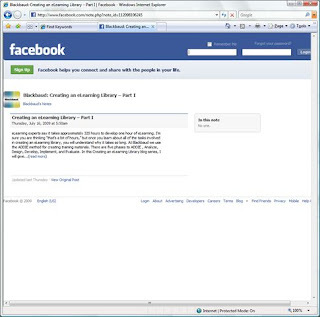 The page does have some reference to elearning library and it is highlighted and recent which helps but really it is the site ranking which is helping this page. So another lesson from the social network and the power of this network to carry your message forward. Facebook and other social networks are not only a great place to have people connect to you and your message (ie. business) it also as we have seen here takes your message outside of the social network. With the object of having more people visit your pages, engaging in social network activity can only help. So get out there and poke a few people! This page ranked quite well with a mombubot score of only 6. 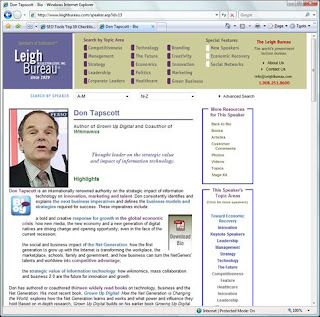 It does have the important best practices in use with Don Tapscott as the first keywords in the title and used in a highlighted way in the body. The copy is a little long for optimal and the page is missing meta tags. Unlike what you will read in several places on the web, meta tags are important. Meta tags such as the description tag is highlighted by google to make sure they are unique. Uniqueness helps to show that your page is different from other similar content. Similar content in the search engine world can be deadly. Similar pages are grouped together and are down on the list when searched for. One the best version will be presented with good ranking and that may not be your page. So remember the meta tags and keep your content different and unique from other pages on the web, including your own pages. Don't forget the unique meta tags! This page could have achieved a better mombubot score simply by working on a few little things. The copy size and density go hand in hand to take advantage of the best practice. This page is a little short on content and the ratio with the keyword is a little off. As well, there is no us of the keyword in the header tags within the page. These are the html tags H1, H2, H3, etc... A common issue with many sites is that the header of the page is a graphic rather than text. On this page it would have been really easy to have the header as text within an H1 tag. These are the little tweaks which can make a big difference. So remember to look for the small stuff too! A big company with a big site and not surprisingly they are doing well with a mombubot SEO score of 8. 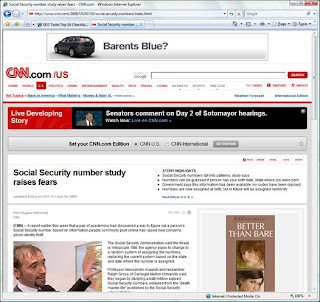 There is also lots of good content on this page with a focus on social security numbers, however maybe a little too much. The bots have to get through all the data and if there is too much they will leave. 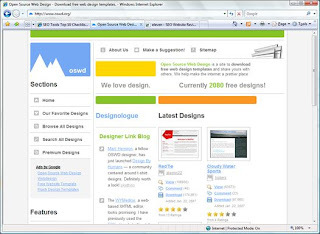 The page does also use a URL with the targeted keywords and CSS layout which provides some added SEO best practices. There are a few too many links on this page as well. I would suggest that if some content is trimmed from this page and a few links removed this page would rank in the top 10. It all comes down to focus on your content for this page! This page had a high mombubot score of 8 and only missed out on density and link text. Link text is very important to search engines as well as people searching. It is important to have relevant information in the link text and include your keywords in that relevant link text. This includes links back to the original page or location on the original page. People will follow links as they are the pathway to the information they are looking for. The search engines know this as well and suggest this as a best practice to follow. This includes the link text you use for your navigation. Very often you will find site navigation with HOME listed as a link. It would be much more effective to change the link text to something which includes your keywords such as in this case "Clean Technology Home". Make your link text as effective as possible by including your keywords and don't forget the navigation link text. Another mombubot score of 8, well done! This page is very obvious it is about "beach cruisers" which are bicycles for those not in the know (like me when I came across this the first time). 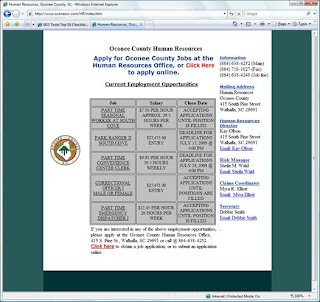 This site like many others uses CSS to layout the content, however, in this case Table layout would have been the better choice. When you intend on presenting data in a tabulated form then you should use tables that is what tables are for. Another thing with this site is that there are a huge amount of pages indexed. 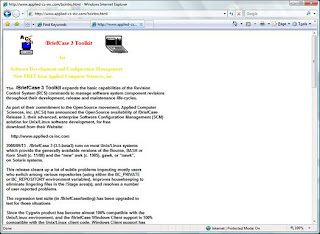 This site lists over 5000 pages indexed. 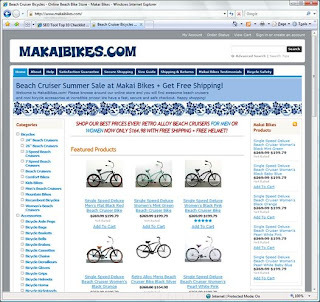 Usually having many pages is a good thing as people can find your content if it is indexed, however, in this case the focus is taken off the keyword "beach cruisers" as the entire site is about many other bike related stuff. Along with the amount of pages there are too many links from this page. When building a page a best practice would be to keep the links to under 100 on the page. This can lower page ranking. Link carefully on your web page! 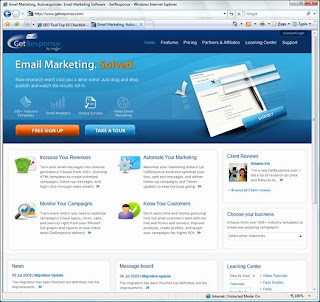 If you look closely at the "Email Marketing. Solved." title you will see some great design features such as shadows and reflection used to create an appealing title. Usually this is done using one solid graphic including the text but not in this case. This is just plan old HTML markup and text combined with CSS. Much better for SEO. Well done, you don't often see this. 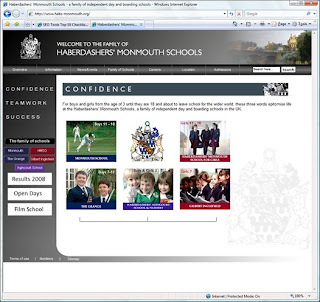 The css layout is also followed through for the whole page. Again, this makes reading the pages eaiser for the bots. Perhaps some inclusion of keywords within the image tags would have assisted in putting this into the top 10. This is a great example of where good design and good SEO work together. Everybody rumba! I am not much of a dancer, but you can feel the excitement simply in the word rumba. It just sounds like fun. Anyway, here we find another non-North American page from Finland which ranks quite well in the .com search. I am sure the mombubot score of 7 is helping, but let me look a little closer. There is lots of content on this page and it is beautifully organized using CSS layout. Again, this allows the search engine bots to read the page easily and keep the content in context. The context is what helps the search engines determine ranking. 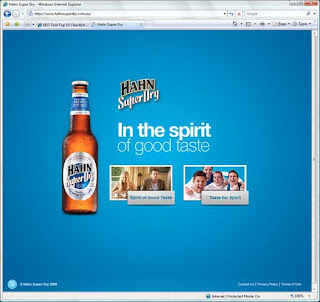 The pages uses the domain http://www.rumba.fi/ but redirects to the URL which also has the keyword in it as an ID tag. This redirection is not the best approach. It would be much better to have the content fall within the rumba.fi domain. This could be loosing some ranking by doing this. 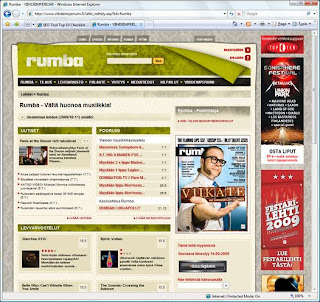 The word rumba is used in strategic locations throughout the page. Even with the good use of the keyword, the density is still a little off of what is the best practice. This could be an area to investigate further. The pages also uses internal links with the keyword in them. I haven't talk a lot about internal links but they are very important. More on internal links later. 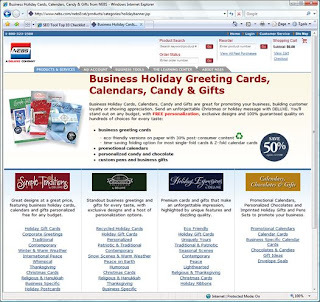 This is an online store page where you can purchase items. It is very important in dealing with the competition that you maintain all the SEO top 10 best practices you can. Having good product detail is key and including your keywords is critical. 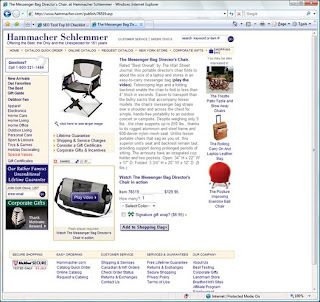 This page does a good job of adding lots of content about the item being sold. I have seen many pages selling items where there is very little in the way of information and this is a mistake. Remember that feedback can also add to the content and help out with SEO. So make sure your online store has the ability to accept feedback and publish the feedback on the product item page. To benefit from good SEO you have to make sure the page is clearly identified for the search terms. Try not to add too many other products to the page as this can alter the focus of the page and hurt the targeting you are going after. 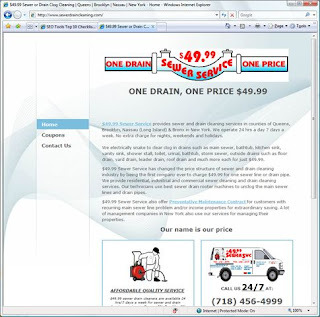 As well, a clean clear page helps potential customers actually purchase from you, which is the ultimate bottom line. 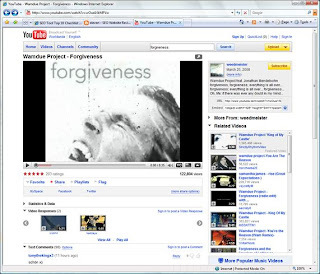 Our first video page found in the search engine 11 position. This page had a mombubot score of 8 which is great! Remember alternative content types are very important. They get good visibility and can help people find your message. Remember when posting video or any other content for that matter that you include your keywords and use the search engines best practices. Mombubot can help you optimize your page to any keyword you target. The higher the score the better optimized your page is. Don't forget to include a link back to your main web page so that you can engage the searcher further. Provide the content they are looking for and you will have a fan. So post your different types of content but don't forget the keywords and best practices! A good mombubot score. 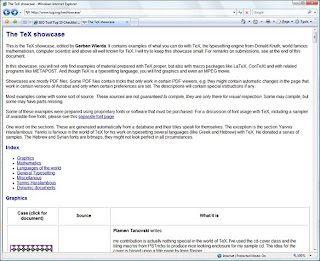 This page is a basic text with the word showcase in all the right positions. 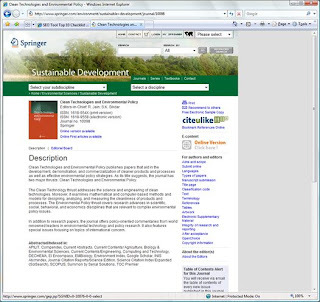 Title, H2 tag, URL and first paragraph of the text body. There is a lot of text on this page and as it is actually a showcase of examples it fits the keyword perfectly. Interestingly enough as of the writing of this entry the site had actually moved to spot 10! Well done for them, however, it is more likely bad news for others who changed. You must be very careful with the changes you do specifically around keywords issues. If you are getting good rankings the more careful you will have to be. If you are not getting good rankings you can search for the pages that are and run them through Mombubot to determine what they are doing right and copy it!